When my first daughter was born almost five years ago, I noticed a sapling burst out of a crack between a building and an asphalt driveway near my work. Somehow a seed found enough city soot and dirt to sprout up and burrow roots down through a gap in the concrete. And that was all it needed. From there it grew about a meter a year, unfurling broad leaves that have been generously providing shade for a tired father taking a break. The tree is a paulownia, named after a Russian princess. And indeed it is sometimes called a princess tree. 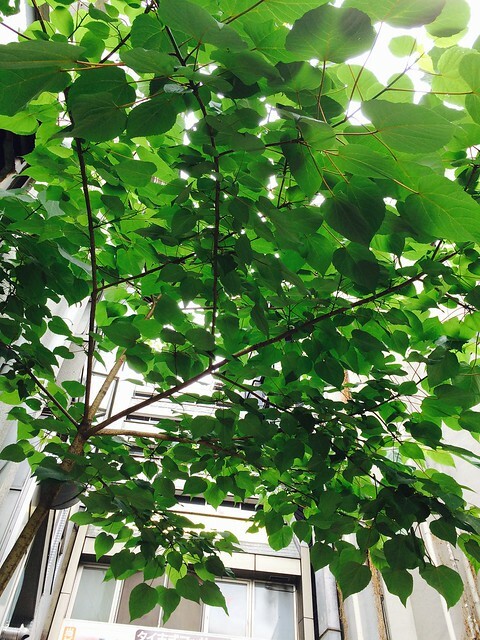 It’s also known as the heart tree because of the shape of its leaves. This tree was often planted in Korea and Japan when a daughter was born. When the daughter got married, the tree was cut down and the wood was made into a chest for her new home. When I read the lore, I fancied the tree was my daughter’s. Like the tree, my daughter is resilient and strong, healthy, tough and generous. I don’t plan on cutting the tree down when or if she gets married. But I do worry that one day the building owner will have it cut down. 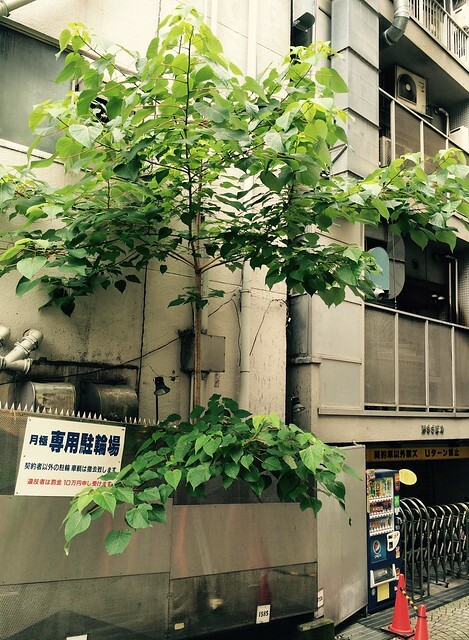 Buildings are demolished and rebuilt with regularity in Tokyo, so eventually the tree will go. Or maybe not. In the meantime, I’ll enjoy the shade. And be comforted knowing that trees will always find a way to take over once we’re gone.